Throwback on the elegance and mesmerizing beauty of Princess Diana to a glimpse of Prince Harry and Prince William's youth. 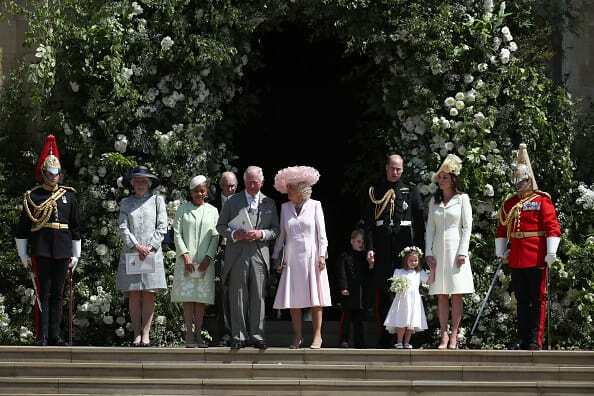 The British Royal Family has a long history that they have been carrying along with their legacy today. 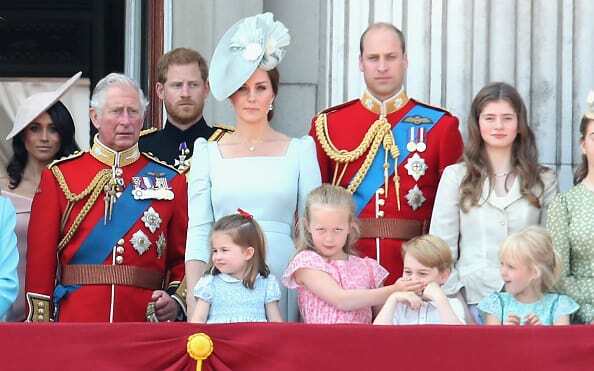 From before the time when Queen Elizabeth was inducted to the throne to the recent royal wedding of Meghan Markle and Prince Harry - The Royal family has always been one of the most talked about Royalties in the world. There are some throwback images of the Royal Family that will melt your heart and take you back in time. 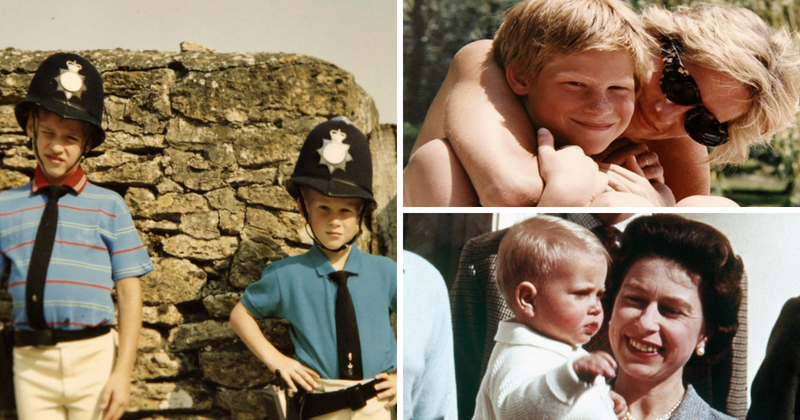 Throwback on the elegance and mesmerizing beauty of Princess Diana to a glimpse of Prince Harry and Prince William's youth, these pictures will bind in an era where the Royalties shared some blissful moments. 1. 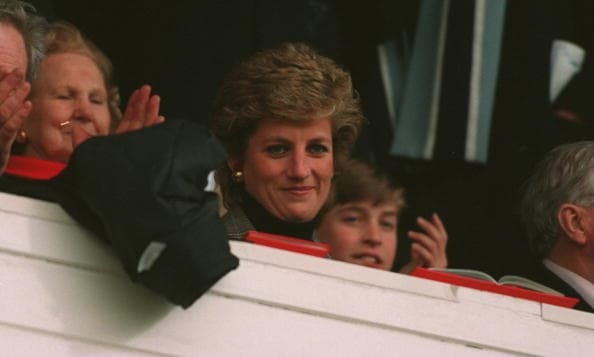 Princess Diana applauding from the Box during the Five Nations International between Wales and Ireland. 2. Prince Harry and Prince William reminisce about Princess Diana as they share this picture from their personal album of their late mother. The Duke and Prince Harry are pleased to share two more additional photographs from the personal photo album of the late Diana, Princess of Wales that feature in the new ITV documentary 'Diana, Our Mother: Her Life and Legacy.' The 90-minute film, made by Oxford Film and Television, celebrates the life and work of Diana, Princess of Wales in the 20th anniversary year since her passing. In the documentary, The Duke and Prince Harry recall fond memories from their childhood as they look through photographs in a family album assembled by the late Princess. 'Diana, Our Mother: Her Life and Legacy' will air on ITV at 9pm tonight. 3. William and Harry talk fondly of their mother in the documentaries. Prince Harry talked about his beautiful memories with his mother and said, "She was one of the naughtiest parents!" 4. Prince William shares an adorable picture with his father - Prince Charles - on the day of Father's day, as well as a picture with his son Prince George. So adorable! 5. The Duke of Cambridge and the Duke of Sussex said: "It has been twenty years since our mother's death and the time is right to recognize her positive impact in the UK and around the world with a permanent statue. "Our mother touched so many lives. We hope the statue will help all those who visit Kensington Palace to reflect on her life and her legacy." 6. The Earl was born on March 10, 1964, and is pictured here in 1965 with The Queen at Frogmore House in Windsor. The Countess of Wessex as well as undertaking public engagements for a large number of his own charities. HRH’s work has a particular focus on young people. 7. The Queen holding The Duke of York in March 1960. This picture shows The Queen holding The Duke of York in March 1960. Happy Birthday to @hrhthedukeofyork! The Duke of York was born #OTD in 1960. This photograph from @royal_collection_trust shows The Queen holding The Duke of York in March 1960. It was taken by British photographer Cecil Beaton when His Royal Highness was just a month old. 8. The Duke first went to The Passage in 1993 when his mother, The Princess of Wales, took him for a private visit to see the work of the homeless charity. 9. This photo of Princes William and Harry with their Father The Prince of Wales in support of The Royal Marsden's campaign. 10. In the documentary 'Diana, 7 days', the main focus is on Diana's death and her funeral. This documentary has Diana's friends and family members who were a part of those 7 days.